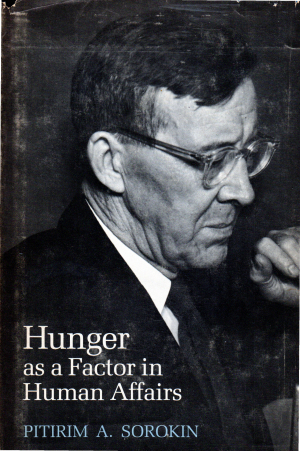 Before accepting a position in the sociology department at the University of Minnesota, Pitirim A. Sorokin was a guest of Vassar College, where he gave lectures. The following article appeared in the Vassar Miscellany News, March 18, 1931. The article noted that Katherine Selz ’31 was the winner of the college’s Chat Current Events contest. Q. ‘Men cannot be treated like mice and guinea pigs’? This squib provides a revealing glimpse of Sorokin: the provocative lecturer and a sociologist who was firmly against what he called quantophrenia. And insight into what was Sorokin’s humanistic conception of sociology.